Do you have a preschooler who you want to get ready to read? Many learning games for preschoolers develop the skills required for reading and set the stage for a lifelong love of reading. How to play: Each player chooses a color and is given the same number of disks in their color. The goal of the game is to connect four of your same-colored disks vertically, horizontally or diagonally. If the grid (not board) is filled and no one has aligned four men then the game is tied. How to win: The person who connects four in a row wins. Skills developed: leads a child to think about space and patterns in space, skills which lay the foundation for the child’s future elementary school performance. 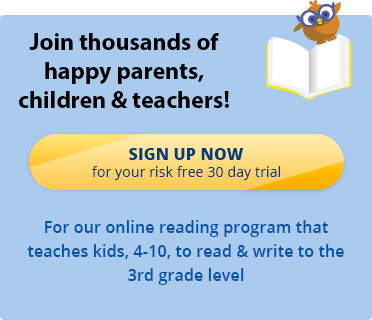 Visit our kids reading games page for more fun-filled learning games. One of the best reading games for kids, the Reading Kingdom is an award-winning online reading program and game that teaches kids to read and write to a third grade level.